If you have the time and inclination to build your home on a DIY basis, mud and timber are attractive options. Even though they’re labour intensive materials to work with they tend to be low cost too; see p126 for a guide to building with clay, p82 and p128 for projects using roundwood. 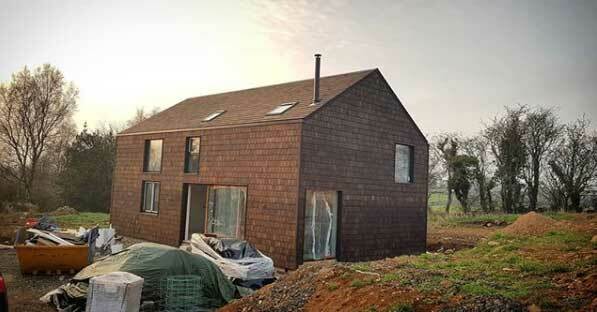 This kind of DIY approach to self-building is however fast disappearing. One reason is that it’s more hassle for your engineer, or in NI Building Control, to certify. But new and unexpected DIY opportunities are emerging. Cross laminated timber, for example, is made in a factory and assembled for you on site. But what you have left on the inside, structural exposed timber, is an ideal backdrop for an industrious self-builder. And the leftovers from the cutting process can be used to make furniture, see p92 for more. 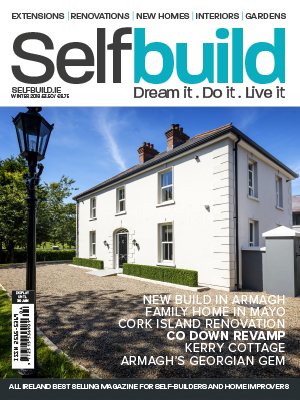 The beauty of a self-build is that you can be as hands off or as hands on as you want. The point of it all is that you’re in control of creating your very own home. That basic premise will never change. With Selfbuild. Dream it. Do it. Live it. IN FOR A SHOCK – How a humble electricity pole bust the budget for Lisa and Nathan Langtry in Co Armagh. A river runs through it – Keith and Romina McGreal of Co Mayo fought long and hard to buy and then build on their dream site. 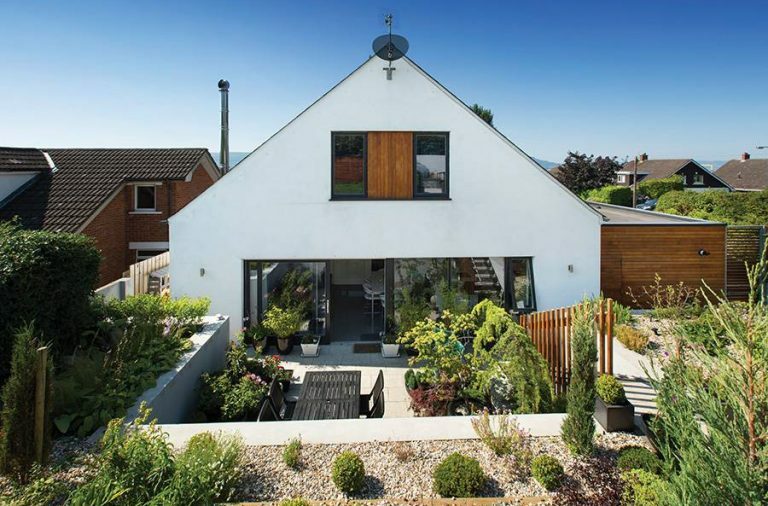 Of rumours and roominess – Tim and Mairead Andrew of Co Down managed to revive a grandiose house that had already gotten a few facelifts. ‘We lived off manpower, rainwater and bottled gas’ – Tracy and Pete Collins literally shed blood, sweat and tears renovating their dream cottage on an island in Co Cork. Sense of place – What started off as a retirement project in Co Kerry turned into a work of art. By George! 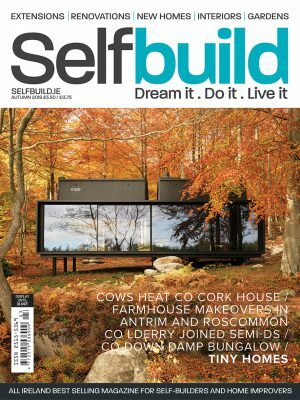 – Giving new meaning to the term tailor-made, Mark Johnson of Co Armagh had to precision engineer with specialist equipment most of the tools he needed to build his mock-Georgian circular home. 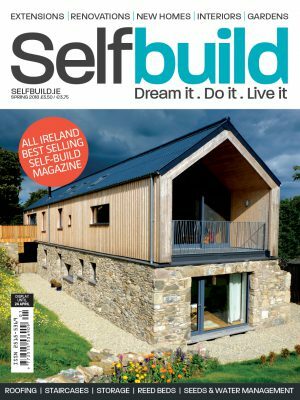 Certifying an eco house – Marcus Tindal of Co Donegal explains how he landed the fire safety certificate for his straw bale, clay and exposed roundwood building. 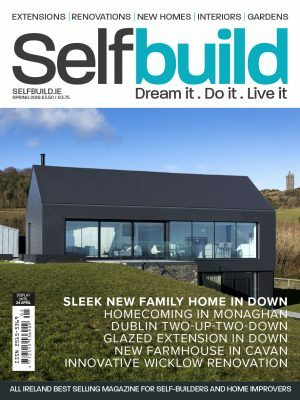 Selfbuild Bootcamp – Your complete guide to building in ROI from the experts we gathered at Selfbuild Live Dublin. Bathroom bliss – How to make your bathroom work, whether you’re designing it from scratch or upgrading an existing one. Walk-in showers – Wet rooms are all the rage and for good reason – find out what you need to know about them. 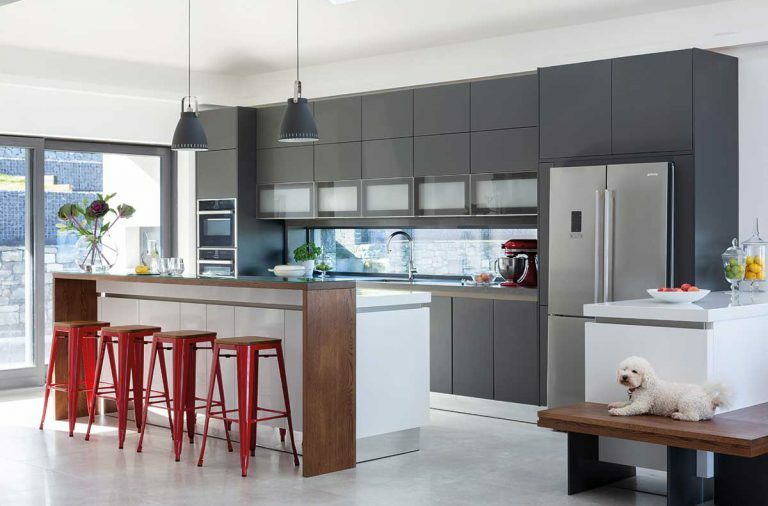 Tailored – Kitchen design is at the heart of the home and budget so make sure you get it right with our handy guide. Biomass burners – All you need to know about biomass boilers and biomass stoves. Smart heating controls – One of the cheapest and most effective ways to reduce your energy bills is to control how often your boiler comes on and for how long. Wall finishes – There’s more to it than choosing between paint and wallpaper. 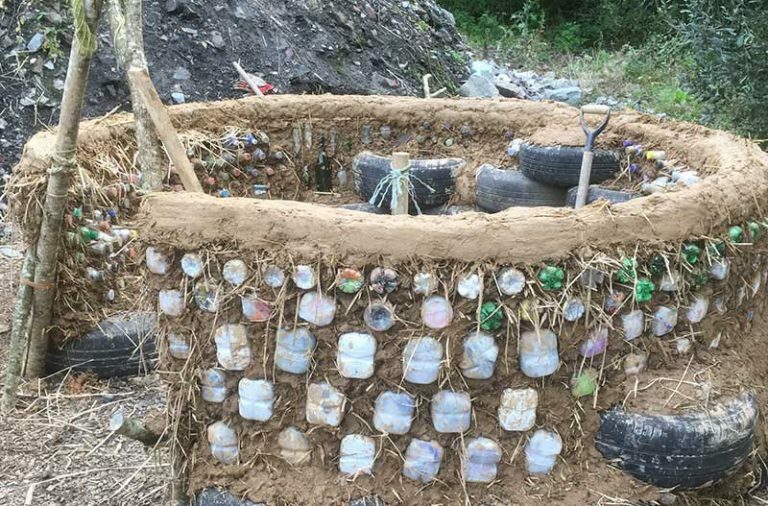 Building with mud – A low cost but labour intensive way to build your home. 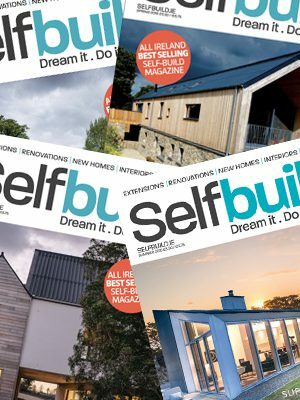 SELFBUILD LIVE CORK – Come meet the experts at Selfbuild Live Cork this November 10-11th in Millstreet, and bring your plans! 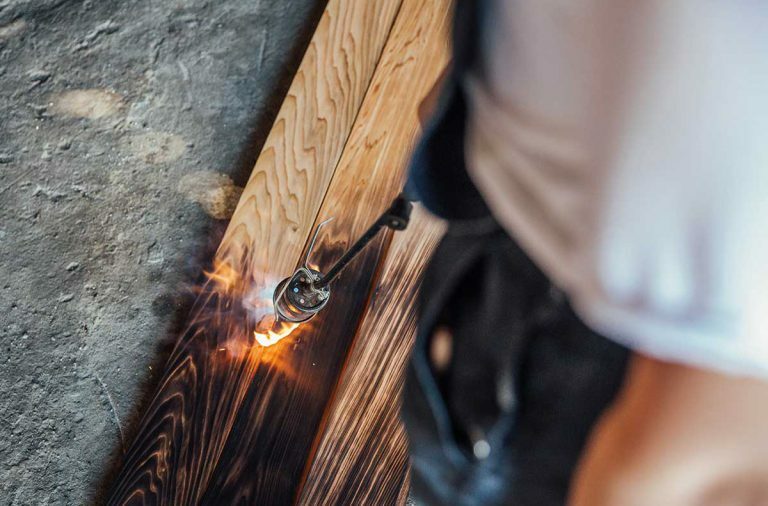 Next generation timber – Cross Laminated Timber is the new kid on the self-build scene; we look at what this building method has to offer. Kitchens of the future – The tech gadgets that will make your life easier in five years’ time. Winterproofing the garden – How to protect the garden from cold and damp, give shelter to wildlife and grow some vegetables in the process. Ask the expert – Your self-build questions answered..
Scrapbook – Ideas for where to store your logs this winter. INSIDER NEWS – Latest products and services for self-builders. Find the perfect facade – Fibre cement cladding options from Cedral.